Do you know how to stack the odds in your favour using confluence? Forex trading is simple but it is not easy because of our innate human emotions. As humans we become greedy, causing us to risk far more than we should do on a given trade. We become scared to take a loss, causing us to hold onto losing trades until they become substantial and account ruining. In fact, we are so averse to losing money, we become scared of losing money we don’t even have – often closing out profitable trades far too early in case our unrealized profit in our PnL pulls back even a tiny bit. When it comes to the mighty battle we face in this games against ourselves, this is just the tip of the iceberg. So, I’m sure you are wondering, how do win this battle against ourselves and ultimately the markets in general? Whilst there are various ways to overcome your emotions the best way is to have a plan. Sounds obvious right? But many new traders do not trade from a plan but rather at a whim. This leaves them beholden to their emotions and often ruins their trading. Here we outline a simple plan you can use to make money in the Forex Markets. It is based around the power of Confluence. Areas of confluence are areas on the chart where multiple traders with different styles come together in one place providing a greater than normal imbalance of buyers and sellers in that area. The Fibonacci tool is a very popular tool in Forex used by amateurs and professionals alike. Traders who use Fibonacci look towards the main retracement levels of 38.2%, 50%, 61.8% and 78.6% to provide a place for new orders to come into the market and push price in the direction of the overall trend. See below for Fibonacci in action. Below we can see price retracing to the 50% Fibonacci level. The 50% Fibonacci level isn’t actually a Fibonacci number, but it is included in the Fibonacci tool as it works so often as a turning point! 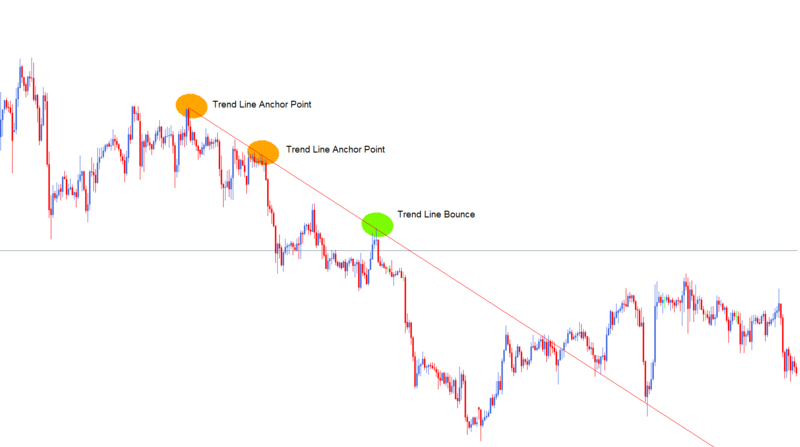 Trend lines are another very common concept in trading. Traders use trend lines in many ways including counter trend line breaks and channeling. There are many traders who trade using trend lines and once a trend line has been established, they look to take trades from that trend line as either support or resistance. See below for Trend Lines in action. Horizontal Support and Resistance is a key component of many trader’s analysis. Traders will look to establish Horizontal Support and Resistance areas in places where price has tested multiple times. Horizontal Support and Resistance levels should be clear to see and easy to pick out. If they are hard to see, they probably are not very good areas of Support and Resistance. See below for Horizontal Support and Resistance in action. Confluence takes place when all of the traders using different trading styles come together in one place. See below for confluence in action. WANT TO SEE CONFLUENCE IN ACTION? Portex Markets Head Analyst, John Fortune goes through Live trade setups using confluence every day in our Live Trading Rooms at 18:30 GMT every day. Portex Markets is a boutique FX and CFD brokerage based in Mayfair, London. Utilising the award winning MT4 environment, traders can enjoy tight spreads, fast execution and highly competitive margin requirements. All clients receive unlimited access to our daily Live Training Rooms with Head Analyst John Fortune.